A scientist is someone who conducts scientific research to advance knowledge in an area of interest. In classical antiquity, there was no real ancient analog of a modern scientist. Instead, philosophers engaged in the philosophical study of nature called natural philosophy, a precursor of natural science. It was not until the 19th century that the term scientist came into regular use after it was coined by the theologian, philosopher, and historian of science William Whewell in 1833. The term 'scientist' was first coined by him for Mary Somerville, partly because the term "man of science", more custom at that time, was clearly inappropriate here. In modern times, many scientists have advanced degrees in an area of science and pursue careers in various sectors of the economy such as academia, industry, government, and nonprofit environments. 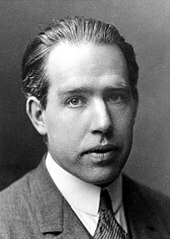 Atomic physicist Niels Bohr made fundamental contributions to understanding atomic structure and quantum theory. The roles of "scientists", and their predecessors before the emergence of modern scientific disciplines, have evolved considerably over time. 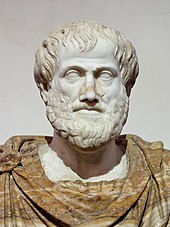 Scientists of different eras (and before them, natural philosophers, mathematicians, natural historians, natural theologians, engineers, and others who contributed to the development of science) have had widely different places in society, and the social norms, ethical values, and epistemic virtues associated with scientists—and expected of them—have changed over time as well. 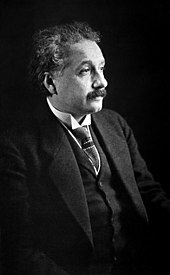 Accordingly, many different historical figures can be identified as early scientists, depending on which characteristics of modern science are taken to be essential. Some historians point to the Scientific Revolution that began in 16th century as the period when science in a recognizably modern form developed. It wasn't until the 19th century that sufficient socioeconomic changes occurred for scientists to emerge as a major profession. Science in medieval Islam generated some new modes of developing natural knowledge, although still within the bounds of existing social roles such as philosopher and mathematician. Many proto-scientists from the Islamic Golden Age are considered polymaths, in part because of the lack of anything corresponding to modern scientific disciplines. Many of these early polymaths were also religious priests and theologians: for example, Alhazen and al-Biruni were mutakallimiin; the physician Avicenna was a hafiz; the physician Ibn al-Nafis was a hafiz, muhaddith and ulema; the botanist Otto Brunfels was a theologian and historian of Protestantism; the astronomer and physician Nicolaus Copernicus was a priest. During the Italian Renaissance scientists like Leonardo Da Vinci, Michelangelo, Galileo Galilei and Gerolamo Cardano have been considered as the most recognizable polymaths. During the Renaissance, Italians made substantial contributions in science. Leonardo Da Vinci made significant discoveries in paleontology and anatomy. The Father of modern Science, Galileo Galilei, made key improvements on the thermometer and telescope which allowed him to observe and clearly describe the solar system. Descartes was not only a pioneer of analytic geometry but formulated a theory of mechanics and advanced ideas about the origins of animal movement and perception. Vision interested the physicists Young and Helmholtz, who also studied optics, hearing and music. Newton extended Descartes' mathematics by inventing calculus (contemporaneously with Leibniz). He provided a comprehensive formulation of classical mechanics and investigated light and optics. Fourier founded a new branch of mathematics — infinite, periodic series — studied heat flow and infrared radiation, and discovered the greenhouse effect. Girolamo Cardano, Blaise Pascal Pierre de Fermat, Von Neumann, Turing, Khinchin, Markov and Wiener, all mathematicians, made major contributions to science and probability theory, including the ideas behind computers, and some of the foundations of statistical mechanics and quantum mechanics. Many mathematically inclined scientists, including Galileo, were also musicians. There are many compelling stories in medicine and biology, such as the development of ideas about the circulation of blood from Galen to Harvey. During the age of Enlightenment, Luigi Galvani, the pioneer of the bioelectromagnetics, discovered the animal electricity. He discovered that a charge applied to the spinal cord of a frog could generate muscular spasms throughout its body. Charges could make frog legs jump even if the legs were no longer attached to a frog. While cutting a frog leg, Galvani's steel scalpel touched a brass hook that was holding the leg in place. The leg twitched. Further experiments confirmed this effect, and Galvani was convinced that he was seeing the effects of what he called animal electricity, the life force within the muscles of the frog. At the University of Pavia, Galvani's colleague Alessandro Volta was able to reproduce the results, but was sceptical of Galvani's explanation. 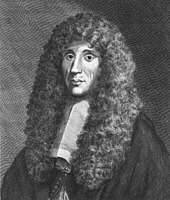 Lazzaro Spallanzani is one of the most influential figures in experimental physiology and the natural sciences. His investigations have exerted a lasting influence on the medical sciences. He made important contributions to the experimental study of bodily functions and animal reproduction. Francesco Redi discovered that microorganisms can cause disease. Until the late 19th or early 20th century, scientists were still referred to as "natural philosophers" or "men of science". English philosopher and historian of science William Whewell coined the term scientist in 1833, and it first appeared in print in Whewell's anonymous 1834 review of Mary Somerville's On the Connexion of the Physical Sciences published in the Quarterly Review. Whewell's suggestion of the term was partly satirical, a response to changing conceptions of science itself in which natural knowledge was increasingly seen as distinct from other forms of knowledge. Whewell wrote of "an increasing proclivity of separation and dismemberment" in the sciences; while highly specific terms proliferated—chemist, mathematician, naturalist—the broad term "philosopher" was no longer satisfactory to group together those who pursued science, without the caveats of "natural" or "experimental" philosopher. Members of the British Association for the Advancement of Science had been complaining about the lack of a good term at recent meetings, Whewell reported in his review; alluding to himself, he noted that "some ingenious gentleman proposed that, by analogy with artist, they might form [the word] scientist, and added that there could be no scruple in making free with this term since we already have such words as economist, and atheist—but this was not generally palatable". Ramón y Cajal won the Nobel Prize in 1906 for his remarkable observations in neuroanatomy. Marie Curie became the first female to win the Nobel Prize and the first person to win it twice. Her efforts led to the development of nuclear energy and Radiotherapy for the treatment of cancer. In 1922, she was appointed a member of the International Commission on Intellectual Co-operation by the Council of the League of Nations. She campaigned for scientist's right to patent their discoveries and inventions. She also campaigned for free access to international scientific literature and for internationally recognized scientific symbols. As a profession, the scientist of today is widely recognized. In modern times, many professional scientists are trained in an academic setting (e.g., universities and research institutes), mostly at the level of graduate schools. Upon completion, they would normally attain an academic degree, with the highest degree being a doctorate such as a Doctor of Philosophy (PhD), Doctor of Medicine (MD), Doctor of Engineering (DEng), or even a dual doctoral degree (e.g., MD, PhD). Although graduate education for scientists varies among institutions and countries, some common training requirements include specializing in an area of interest, publishing research findings in peer-reviewed scientific journals and presenting them at scientific conferences, giving lectures or teaching, and defending a thesis (or dissertation) during an oral examination. To aid them in this endeavor, graduate students often work under the guidance of a mentor, usually a senior scientist, which may continue after the completion of their doctorates whereby they work as postdoctoral researchers. After the completion of their training, many scientists pursue careers in a variety of work settings and conditions. In 2017, the British scientific journal Nature published the results of a large-scale survey of more than 5,700 doctoral students worldwide, asking them which sectors of the economy that would like to work in. A little over half of the respondents wanted to pursue a career in academia, with smaller proportions hoping to work in industry, government, and nonprofit environments. Scientists are motivated to work in several ways. Many have a desire to understand why the world is as we see it and how it came to be. They exhibit a strong curiosity about reality. Other motivations are recognition by their peers and prestige. The Nobel Prize, a widely regarded prestigious award, is awarded annually to those who have achieved scientific advances in the fields of medicine, physics, chemistry, and economics. Some scientists have a desire to apply scientific knowledge for the benefit of people's health, the nations, the world, nature, or industries (academic scientist and industrial scientist). Scientists tend to be less motivated by direct financial reward for their work than other careers. As a result, scientific researchers often accept lower average salaries when compared with many other professions which require a similar amount of training and qualification. Scientists include experimentalists who mainly perform experiments to test hypotheses, and theoreticians who mainly develop models to explain existing data and predict new results. There is a continuum between two activities and the division between them is not clear-cut, with many scientists performing both tasks. The number of scientists is vastly different from country to country. For instance, there are only four full-time scientists per 10,000 workers in India while this number is 79 for the United Kingdom and the United States. According to the United States National Science Foundation 4.7 million people with science degrees worked in the United States in 2015, across all disciplines and employment sectors. The figure included twice as many men as women. Of that total, 17% worked in academia, that is, at universities and undergraduate institutions, and men held 53% of those positions. 5% of scientists worked for the federal government and about 3.5% were self-employed. Of the latter two groups, two-thirds were men. 59% of US scientists were employed in industry or business, and another 6% worked in non-profit positions. ^ "Eusocial climbers" (PDF). E.O. Wilson Foundation. Retrieved 3 September 2018. But he’s not a scientist, he’s never done scientific research. 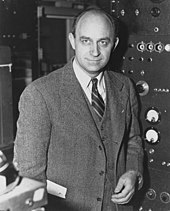 My definition of a scientist is that you can complete the following sentence: ‘he or she has shown that...’,” Wilson says. ^ "Our definition of a scientist". Science Council. Retrieved 7 September 2018. A scientist is someone who systematically gathers and uses research and evidence, making a hypothesis and testing it, to gain and share understanding and knowledge. ^ Lehoux, Daryn (2011). "2. Natural Knowledge in the Classical World". In Shank, Michael; Numbers, Ronald; Harrison, Peter. Wrestling with Nature : From Omens to Science. Chicago: University of Chicago Press. p. 39. ISBN 0226317838. ^ Cahan, David, ed. (2003). From Natural Philosophy to the Sciences: Writing the History of Nineteenth-Century Science. Chicago, Illinois: University of Chicago Press. ISBN 0-226-08928-2. ^ Lightman, Bernard (2011). "Science and the Public". In Shank, Michael; Numbers, Ronald; Harrison, Peter. Wrestling with Nature : From Omens to Science. Chicago: University of Chicago Press. p. 367. ISBN 0226317838. ^ Maria Popova. "Meet Mary Somerville: The Brilliant Woman for Whom the Word "Scientist" Was Coined". Retrieved 2 January 2019. ^ a b c Cyranoski, David; Gilbert, Natasha; Ledford, Heidi; Nayar, Anjali; Yahia, Mohammed (2011). "Education: The PhD factory". Nature. 472: 276–279. doi:10.1038/472276a. ^ a b Kwok, Roberta. "Flexible working: Science in the gig economy". Nature. 550: 419–421. doi:10.1038/nj7677-549a. ^ a b Editorial, ed. (2007). "Many junior scientists need to take a hard look at their job prospects". Nature. 550. doi:10.1038/nj7677-549a. ^ a b Lee, Adrian; Dennis, Carina; Campbell, Phillip (2007). "Graduate survey: A love–hurt relationship". Nature. 550: 549–552. doi:10.1038/nj7677-549a. ^ Einstein (1954, p. 271). "Propositions arrived at by purely logical means are completely empty as regards reality. Because Galileo realised this, and particularly because he drummed it into the scientific world, he is the father of modern physics—indeed, of modern science altogether." ^ Robert Routledge (1881). A popular history of science (2nd ed.). G. Routledge and Sons. p. 553. ISBN 0-415-38381-1. ^ "Spallanzani - Uomo e scienziato" (in Italian). Il museo di Lazzaro Spallanzani. Archived from the original on 2010-06-03. Retrieved 2010-06-07. ^ Science by American Association for the Advancement of Science, 1917. v.45 1917 Jan-Jun. Page 274 Archived 2017-03-02 at the Wayback Machine. ^ a b Ross, Sydney (1962). "Scientist: The story of a word" (PDF). Annals of Science. 18 (2): 65–85. doi:10.1080/00033796200202722. Retrieved 2011-03-08. To be exact, the person coined the term scientist was referred to in Whewell 1834 only as "some ingenious gentleman." Ross added a comment that this "some ingenious gentleman" was Whewell himself, without giving the reason for the identification. Ross 1962, p.72. ^ a b Whewell, William. The Philosophy of the Inductive Sciences Volume 1. Cambridge: John W Parker J&J Deighton. p. cxiii. "Archived copy". Archived from the original on 2016-04-30. Retrieved 2015-10-17. CS1 maint: Archived copy as title (link) . In the 1847 second edition, moved to volume 2 page 560. ^ "William Whewell (1794-1866) gentleman of science". Archived from the original on 2007-06-25. Retrieved 2007-05-19. ^ "STEM education: To build a scientist". Nature. 523: 371–373. 2015. ^ Gould, Julie (2016). "What's the point of the PhD thesis?". Nature. 535: 26–28. ^ a b Kruger, Philipp (2018). "Why it is not a 'failure' to leave academia". Nature. 560: 133–134. ^ Lee, Adrian; Dennis, Carina; Campbell, Phillip (2007). "Nature's guide for mentors". Nature. 447: 791–797. ^ "Employment: Male majority". Nature. 542 (7642): 509–509. 2017-02-22. doi:10.1038/nj7642-509b. This page is based on the Wikipedia article Scientist; it is used under the Creative Commons Attribution-ShareAlike 3.0 Unported License (CC-BY-SA). You may redistribute it, verbatim or modified, providing that you comply with the terms of the CC-BY-SA.